If this film was made in Anno Domini, it probably would have struggled to get past the censors. Even 1,979 years later, it was still deemed ‘So funny it was banned in Ireland’ – we are very careful now / down with that sort of thing when it comes to church lols. 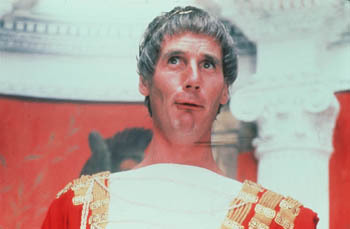 History tells us Pontius Pilate was pretty badass, what with crucifying the Son of God and all, but Michael Palin’s version couldn’t even pronounce ‘cwuecifiction’. A certain English tabloid would have had a field day making fun of his pwonunciation. Possibly the most accurate and unbiased depiction of the war in Iraq, right down to the sick shoelace-tying torture techniques applied by Saddam’s regime or the animal/human gene splicing experiments they were obviously carrying out in their high-tech military research labs. However in this retelling, Saddam had a lightsaber – which is closer to a WMD than the real version probably got. Matt Stone and Trey Parker could have pushed their tongues right though their respective cheek membranes and their Kim Jong Il still wouldn’t have been more ludicrous than the real deal – in fact it’s hard to tell who was a parody of whom between the puppet and the late Supreme Leader. The Dear Leader was famously a massive fan of Hollywood films, and just about everybody who has sang along to ‘I’m So Ronery’ has wondered if the Glorious General Who Descended From Heaven himself sat through it. They don’t get any ballsier than this. While the rest of the world was tiptoeing around Nazi Germany and pretending not to notice, Charlie Chaplin once again donned his director/writer/producer/composer/lead actor caps to portray the strangely familiar sounding Jew botherer ‘Der Phooey, Adenoid Hynkel’, complete with strangely familiar toothbrush moustache and strangely familiar German accent. The film was banned in countries not to keen on upsetting Hitler, but once World War II kicked off it became the perfect piece of propaganda. Chaplin later admitted he wouldn’t have been poking fun had he none the extent of the atrocities. Sadly the only film on this list that isn’t a comedy; sadlier, it’s funnier than any film on this list; sadliest, the funniest lines were not even scripted, but actual quotes from an actual president… who was actually re-elected. And it’s not like the American public have an excuse, because there’s an old saying in Tennessee. I know it’s in Texas, probably in Tennessee, that says ‘Fool me once… shame on… shame on you… you fool me, you can’t get fooled again. Now watch this drive. This entry was posted on May 20, 2012 at 12:50 pm and is filed under TOP FIVES with tags Movies, Sacha Baron Cohen, The Dictator. You can follow any responses to this entry through the RSS 2.0 feed. You can leave a response, or trackback from your own site. I think Team America really did it best satirising a dictatorship. Saying that, this is a brilliant list – having Fahrenheit 9/11 as number one is a very nice touch!